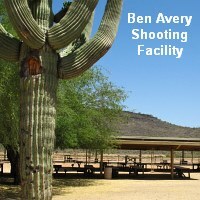 A while back, while in Arizona, we headed out to the Ben Avery Shooting Facility, located about 27 miles north of downtown Phoenix on I-17. We were impressed by Ben Avery’s vast range complex, which includes a Clay Target (shotgun) center, 1000-yard High Power range, 100-300 yard Benchrest range, rifle and pistol silhouette ranges, handgun ranges, smallbore range, Running Boar range, and a large, 53-bay, 200-yard main range. At the main range we ran into Forum Member Troy D., who had a brand-spanking new 6mmBR rifle built by Lester Bruno of Bruno Shooters Supply. While breaking-in his new 28″ Krieger barrel, Troy was using Sierra 70gr Blitz-Kings. Accuracy was impressive — the 70 grainers ripped tight, little knots in the high 2s, low 3s. Though his rifle has an 8-twist barrel, Troy was testing the 70s in preparation for a prairie dog trip next week. From what we saw, those p-dogs should be worried. 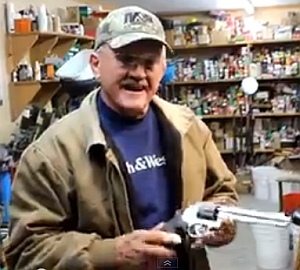 Troy’s gun was a tack-driver with the Sierra Blitz-Kings. While Troy was cleaning between groups, we noticed he was using a compact little box to hold his jags, brushes and patches. The box was the perfect size for these items. 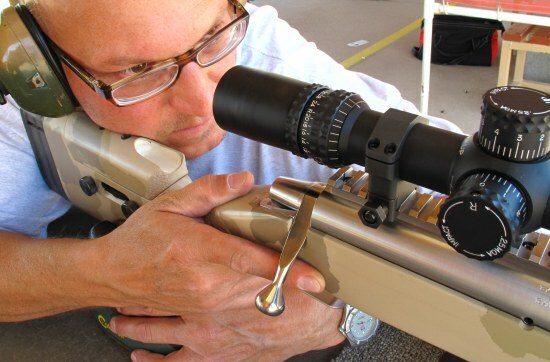 Troy explained: “If you’re just taking one rifle to the range, you don’t need to take a big gear box with stuff for all your guns. 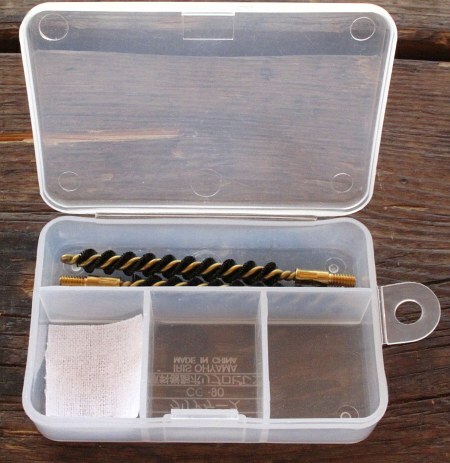 Apart from solvent, bore guide, and cleaning rod, this little box holds all I really need to clean my rifle.” Troy sourced the box at Cabela’s for $1.50. 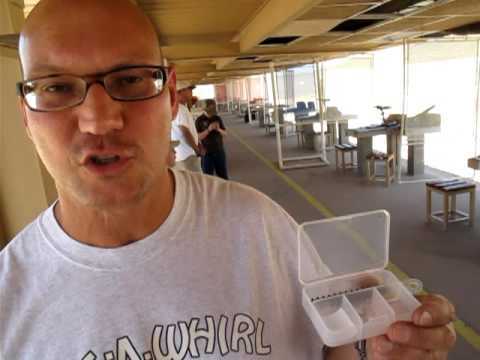 Share the post "Meeting Forum Friends at Ben Avery — World’s Smallest Range Kit"